Playing a part in a healthy reef system✓ All reef users should know and obey rules and regulations designed to prevent damage to living corals. ✓ Accidental boat groundings damage the reef and seagrass beds. Consult tide and navigational charts and steer clear of shallow areas (shallow, seagrass beds appear brown in color). ✓ Land-based sources of pollution can affect water quality and the coral reef, including excessive use of chemical fertilizers, oil & chemical spills, trash, sewage. Minimize these sources to reduce the stress on the reef system.Visitors, residents and members of the community who want to be a part of the Florida Reef Resilience program can participate in any of the volunteer programs listed below. Each program has been designed to engage the community in being a part of the early detection of marine events and increase the number of eyes and ears on the reef. Everyone who knows and loves the reef has a role to play in the Florida Reef Resilience program. What does this program do: The Southeast Florida Action Network (SEAFAN) is a reporting and response system designed to improve the protection and management of southeast Florida’s coral reefs by increasing response to vessel groundings and anchor damage, and providing early detection of potentially harmful biological disturbances. Who can help: people who spend time on the water, such as divers, snorkelers, commercial and recreational fishermen, boaters, law enforcement personnel, environmental professionals and anyone else who uses the water or visits the coast. Everyone can contribute to the network by being the eyes and ears on the reef. How to Report : Call the SEAFAN hotline at 866-770-SEFL (7335) or fill out the online report form. Who can help: people who spend time on the water, such as divers, snorkelers, commercial and recreational fishermen, boaters, law enforcement personnel, environmental professionals and anyone else who uses the water or visits the coast. Everyone can contribute to the network by being the eyes and ears on the Florida Keys reefs. What can you do: There is no paperwork involved, no specialized training needed, and no other participation or effort is required. By simply providing what, where, and when something unusual was observed, residents can provide scientists with the information needed to detect potentially large scale events as they develop. How to Report : Contact Cory Walter, Project Coordinator, at (305) 395-8730, or email cwalter@mote.org. There is also an online form available. 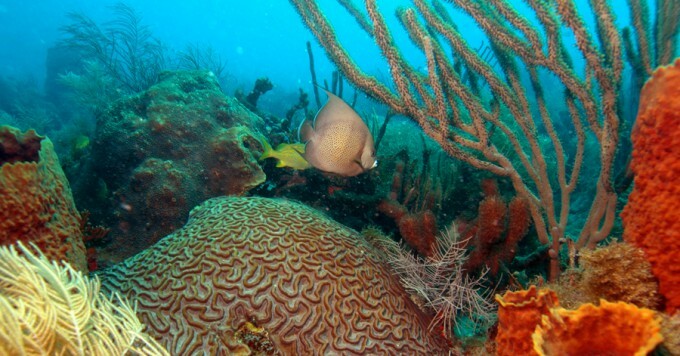 What does this program do: Coral bleaching, which is the corals’ loss of their symbiotic algae called zooxanthellae, is a natural event that occurs to some extent every year in the Florida Keys National Marine Sanctuary(FKNMS). While records show that coral bleaching events have been occurring for many years in the Florida Keys, indications are that the frequency and severity has steadily increased since the 1980’s. Large-scale mass coral bleaching events are driven by unusually warm sea temperatures. The effects of these mass events are potentially devastating to ecosystems and the people who depend on them. Modeled after the Great Barrier Reef Marine Park Authority’s “BleachWatch” program, specially trained volunteers known as the Florida Keys “BleachWatch” observers collect field observations to monitor for signs of coral bleaching. The data is consolidated with satellite and monitoring data, data with field observations by trained “BleachWatch” observers, and provided to the FKNMS with a summary, or “current conditions report”, throughout the summer. What can you do . Depending on how frequently you visit the reef there are two different ways that you can report coral bleaching: a) Become a BleachWatch Professional The Professional program is for divers who visit a particular reef on a regular schedule. Weekly monitoring of these reefs will help gauge the pre-bleaching coral composition and help determine the susceptibility of your site to bleaching. A short training session is required for this, or b) be part of the BleachWatch Community. The Community program is designed for observers who make occasional reef trips or do not frequent the same reef sites.